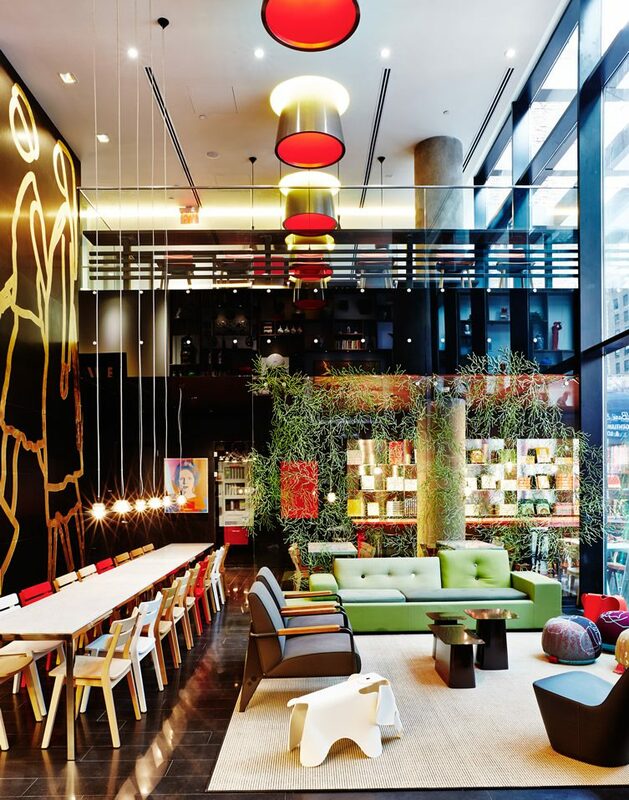 Our favourite Dutch hotel group citizenM has set up home in the old New Amsterdam, right in the core of the Big Apple: a stone’s throw from Times Square. 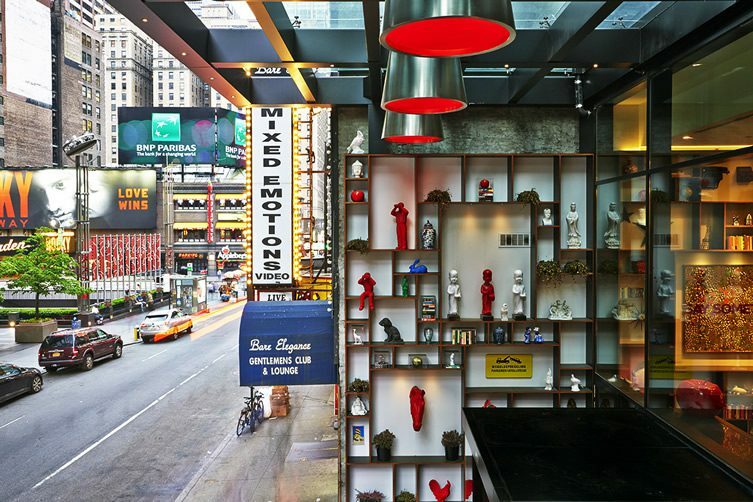 Midtown Manhattan is the quintessential New York layover for first-timers and seasoned fans looking to rekindle their romance with The City That Never Sleeps alike, and citizenM has developed a hotel right in the sweet spot on Broadway and 50th. The area has its critics, but there’s enough kitsch and craziness left in the triangular intersection to warrant your time, no matter how cultured you may think you are. 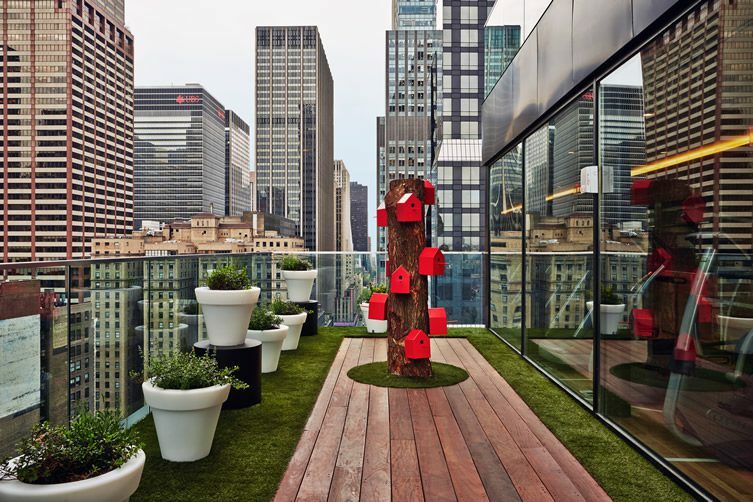 The brand’s debut American outpost is brimming with the modern attitude and outlook that the city is famous for, but leaves out the extraneous bells and whistles in a bid to keep costs down in a notoriously pricey part of town. No one has used a hotel trouser press since the 1980s anyway. 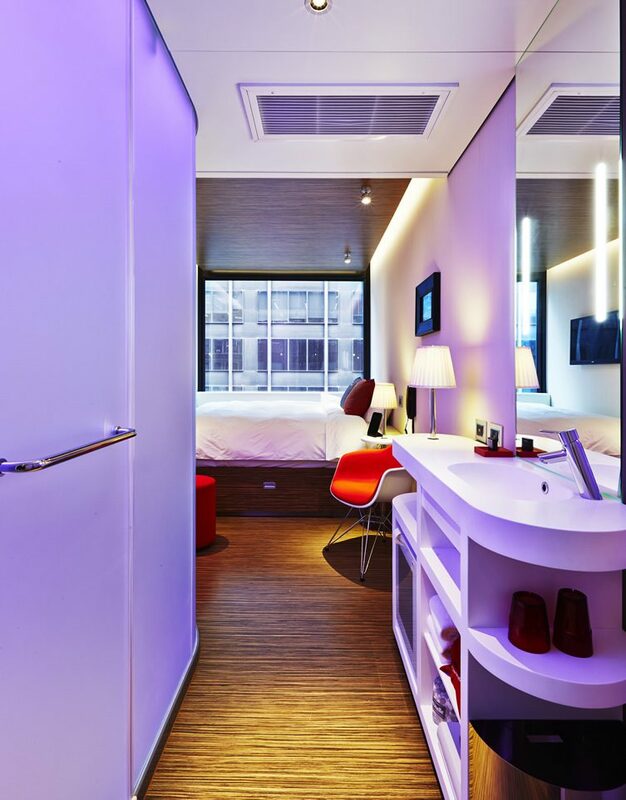 That said, in a city famed for its can’t-swing-a-cat bedrooms, citizenM’s compact pod feels oddly spacious when we checked in recently – familiar too, the Dutch brand are unwavering in their successful model. 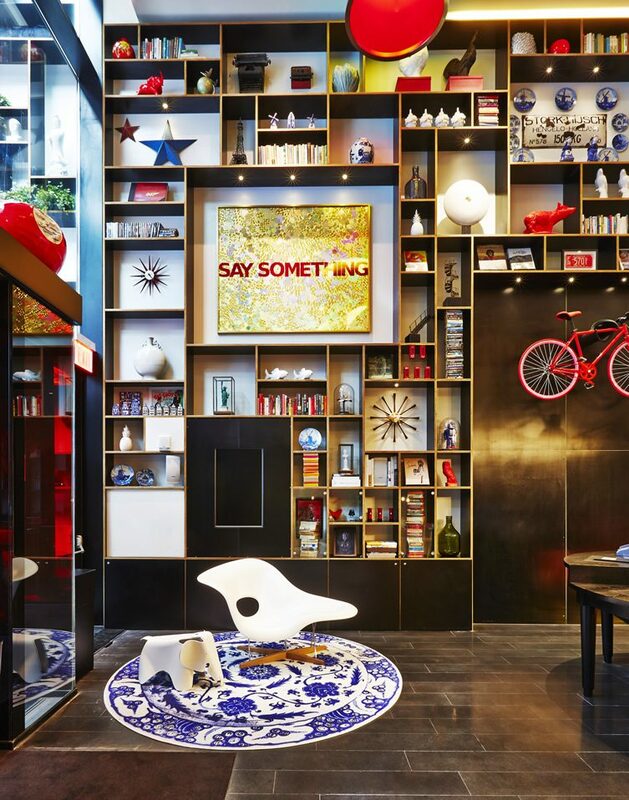 On that note, and in a show of national solidarity, citizenM flew in long-time design collaborator concrete from Old Amsterdam to oversee the project, with fellow countrymen Bricks providing the styling and KesselsKramer the graphic design. The building itself is quite the looker, with one of the main eye-catching features in a city of eye-catching buildings being the enormous exterior artwork Come One Come All by Jen Liu, and its modernist European flair is elegantly at odds with the famous surroundings – a dodgy DVD shop and gentleman’s club next door (gleeful relics of Times Square past) are splendid juxtapositions. The individuality of each guest room can also be felt from outside, with the windows protruding out slightly for emphasis. 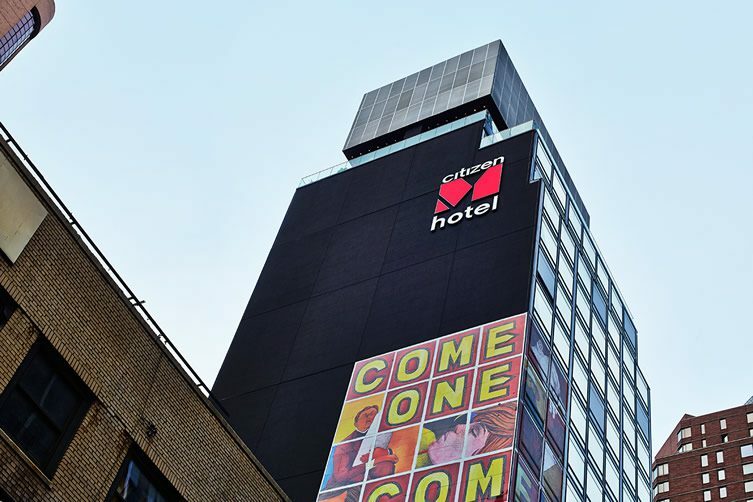 The lower two floors have been left glazed and open, sucking the street life into the building, and once inside great store has been set in the public areas where (as in all citizenM hotels) guests are positively encouraged to spend the majority of their time. 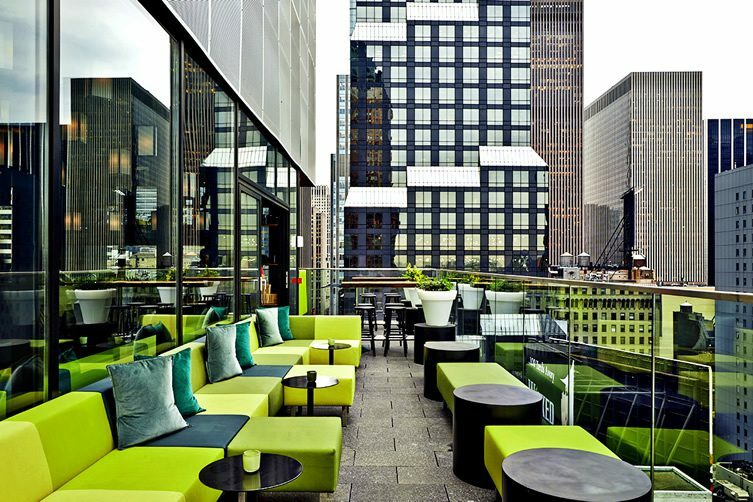 Atop the building sits a rooftop bar. 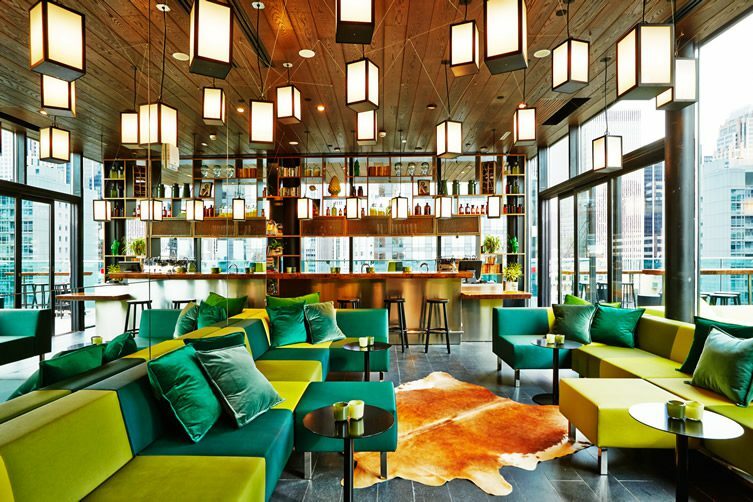 Sheltered underneath a bulkhead, the Cloud Bar offers 360 degree views of the city, and a mean cocktail to boot. Another winner.